Now I feel sorry for my brother, Kru. Through his cat sand delivery business, he met a girl he liked named Pippy and he invited her over here for dinner. Kru’s nothing if not brave. I mean…he invited Pippy over here for dinner. Amazingly enough, everything with us went well. My sister, Iris Nell, didn’t grill her on whether or not she swats flies who get into the house or escorts them out “properly,” wearing pastel-colored cotton gloves. Duncan’s triplets, who must have a fever or something, never once made their eyes glow red or levitated over the table. And even Brunty, the butler, didn’t drop a soup tureen on her head. So Kru was on his way to a second date…until we forgot about the peacock. 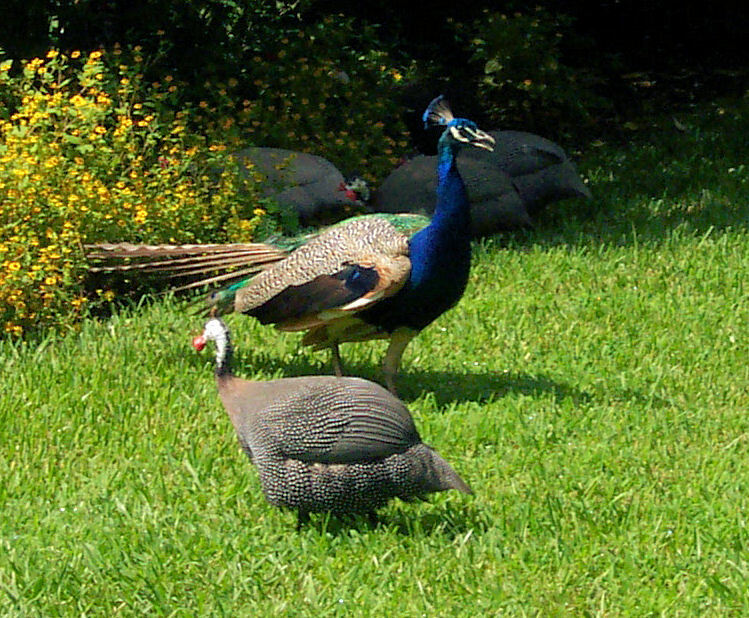 As I’ve written before, Mom brought home a pair of peacocks who needed a home, which was a great gesture but a bad reality. The peahen is, to put it nicely, homely, so the frustrated male tried to have a relationship instead with a blue Porsche that belonged to one of my father’s business contacts. Twice. 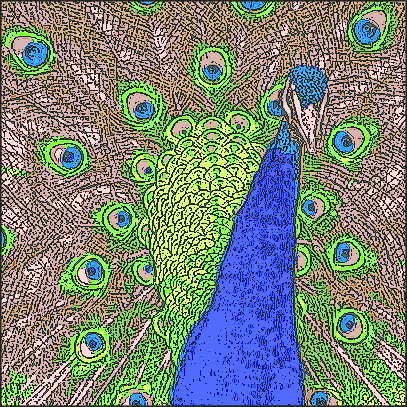 Ever since then, Dad’s been after Iris Nell to find the peacock a new home but, unsurprisingly, she hasn’t been successful. We should have remembered about the blue car, though. Every blue car. A blue car like the one that Pippy had driven here. As she started to leave, we all heard that unmistakable, shrieking and peeling back of a 2 ton sardine-can lid noise and we realized that the peacock was having a “special moment” with Pippy’s car. The difference this time, though, was that Pippy was in it. Everybody raced outside to try to yank the bird off the roof of the car, all the while with Iris Nell screaming not to hurt him. Pippy must have felt not only assaulted by another lovelorn species but that it was all happening in the middle of a soccer riot. Dad’s obviously going to have to pay for the damage to Pippy’s car so, once again, the money will be flowing in the wrong direction.